Bring with you: Warm & windproof clothing in addition to good, waterproof hiking boots, a camera, and headphones. 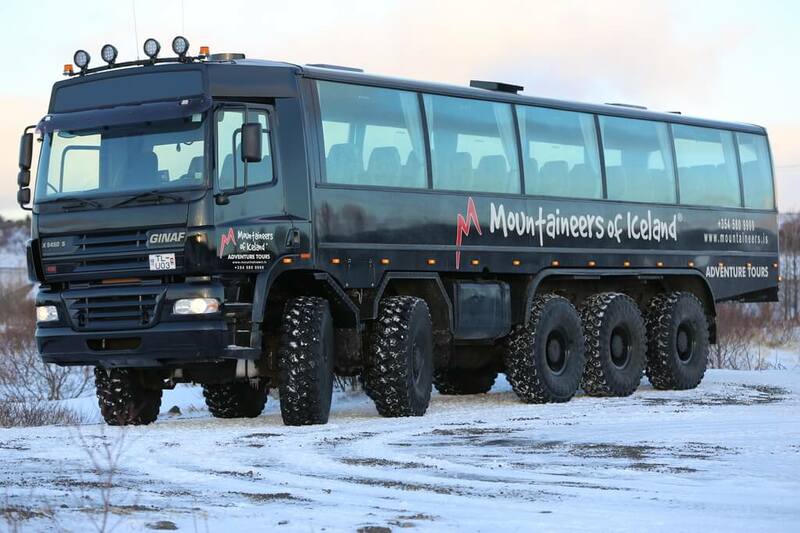 We start the tour from Reykjavik towards Husafell in Borgarfjorður from there we will start our ascent to the Langjökull Ice Cap. 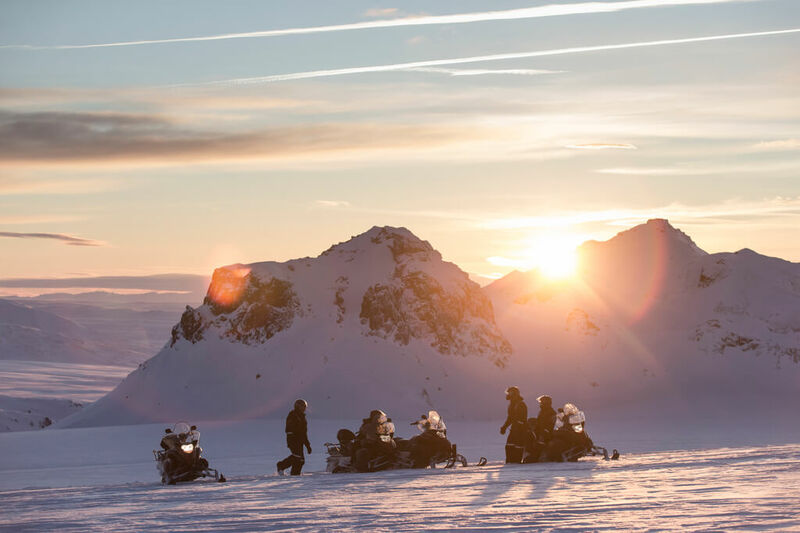 We begin the snowmobiling trip from out base camp Jaki located on the west side of the glacier. 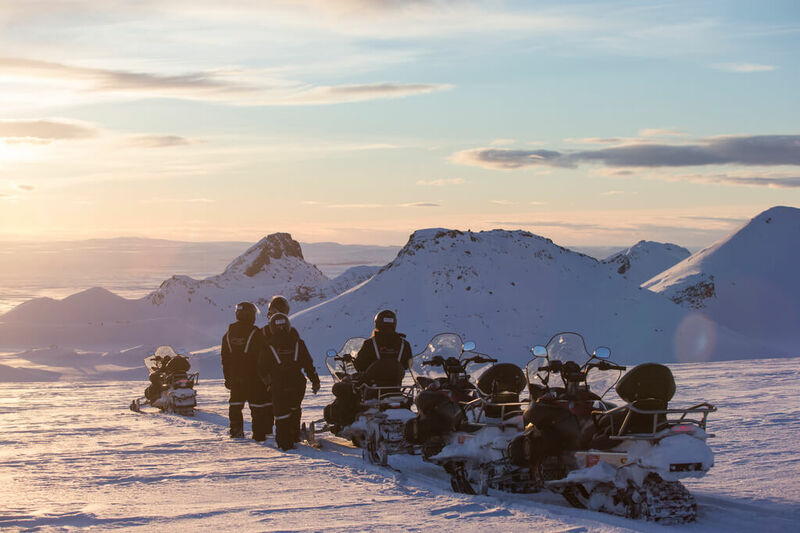 At our base camp, we suit up for the tour and getting a helmet to put on, after that, we listen to the safety instructions on how to best operate the snowmobile. 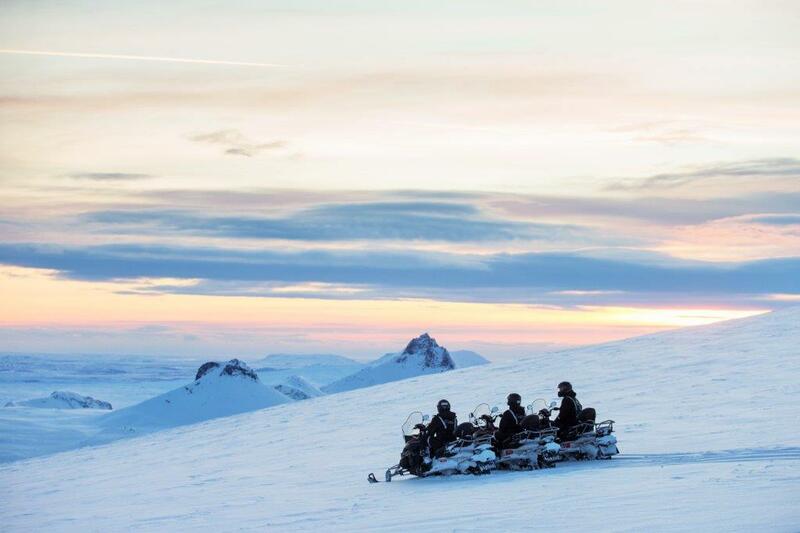 Then we are ready to begin tour snowmobile tour. After snowmobiling, we walk down into the man-made Ice Cave into the glacier. 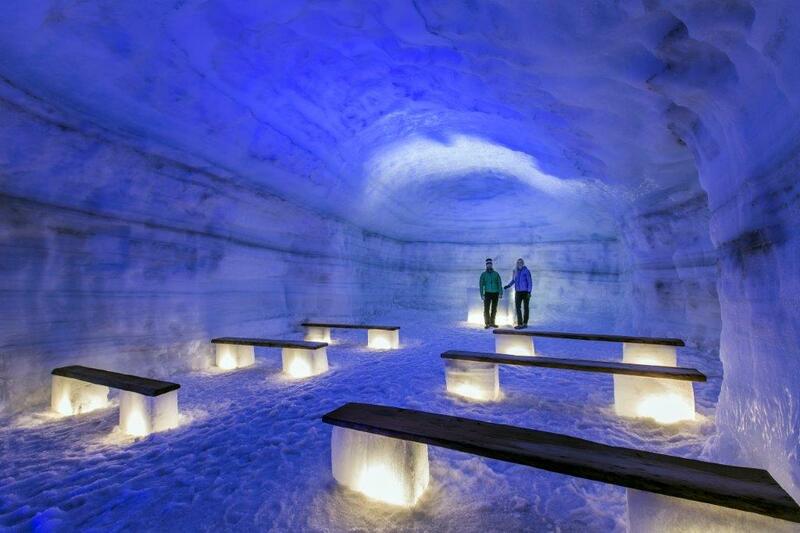 Your guide will take you for a tour into the cave and go over some interesting facts about the glacier and the cave. 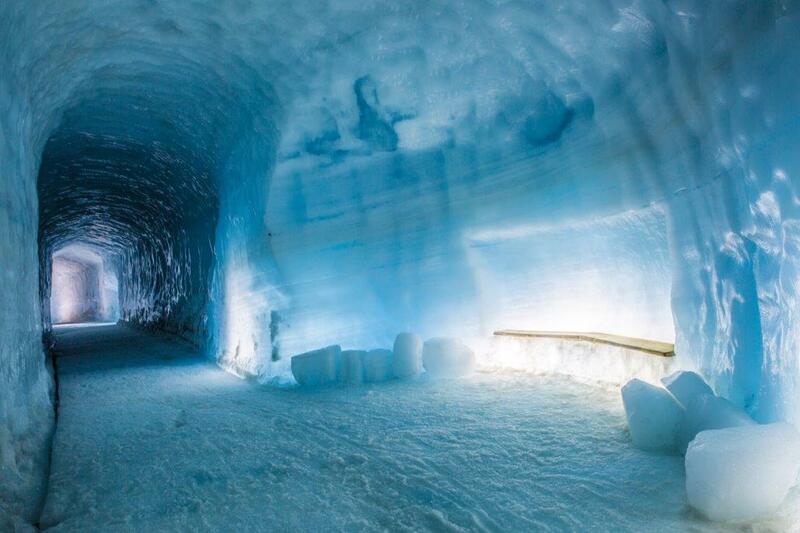 Inside the glacier, the temperature is usually around zero degrees °C or 32 °F. We head back to Húsafell after having explored the glacier. Then we get to gather by the bus and continue on our tour back to Reykjavik.